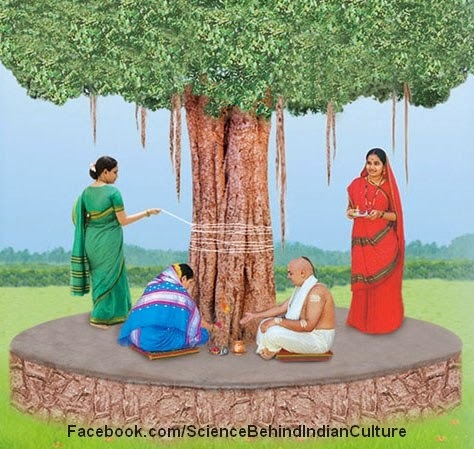 Home Hindu Scientific Reason behind why Some Trees are considered Sacred in India ? It is true that Ancient Indians honored all the trees, But some particular trees and plants are considered sacred and have been worshiped over thousands of years. Some of the examples areTulsi ( The sacred plant of Indian Hindu Culture), Peepal Tree (Ficus religiosa) and Audumbar Tree (Ficus racemosa). The two trees( peepal tree and Audumbar tree) are 24-hour oxygen generators and cannot be planted manually. 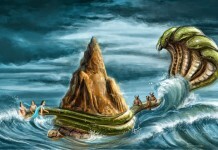 They grow on their own mainly through the birds, which eat their fruits. Audumbar tree is associated with Guru Dattatreya, one of main Hindu deities and cutting or dishonoring the tree in any way is considered as a sin. Both of these trees are very important for ecological balance. So by associating them with Hindu deities, they have been protected, so that no one would cut them. Ayurveda makes an extensive use of the leaves of peepal due to the numerous benefits it provides. Its leaves serve as a wonderful laxative as well as tonic for the body. It is especially useful for patients suffering from Jaundice. It helps to control the excessive amount of urine released during jaundice. The leaves of Peepal are highly effective in treating heart disorders. It helps to control the palpitation of heart and thereby combat the cardiac weakness. For constipation problem, there can be no better remedy than the consumption of leaves of Peepal. The Indian basil peepal works wonders in treating dysentery. The leaf of a peepal plant is also considered valuable in the treatment of various kinds of skin disorders. Pipal leaves are of great use in getting rid of mumps. In case of formation of pus, bandaging the leaves of Peepal will ensure that the growth subsides. The roots, bark-skin, fruits, lates and leaves of audumbara have great medicinal value. Udumbara is used both, internally as well externally, externally the latex is applied on chronic infected wounds to alleviate edema, pain and to promote the healing. The tender leaf buds are applied on the skin, in the form of paste, to improve the complexion. The decoction of leaves is salutary in washing the wounds for better cleansing and healing. The decoction of its bark-skin is an effective gargle in stomatitis and sore throat. Application of latex alleviates the edema in adenitis, parotitis, orchitis, traumatic swelling and toothache. Internally, udumbara is used in vast range of maladies. The decoction of bark skin is extremely useful in diarrhea, dysentery and ulcerative colitis. In children, the latex is given along with sugar to combat diarrhea and dysentery. The cold infusion of ripened fruits mixed with sugar, is salutary in Rakta pitta is effectively controlled with the decoction of bark-skin. In diabetes, the ripe fruits or bark-skin decoction is beneficial, as it works well as anti-diuretic. The decoction of leaves is an effective remedy in glandular swelling, abscess, chronic wounds, cervical adenitis etc. In uterine bleeding, abortion, leucorrhea and vaginal bleeding the decoction of its bark-skin is given orally, as well as in a form of basti (enema). The latex mixed with sugar is benevolent in sexual debility in males. The juice of its fruit is a panacea for hiccup. The powder of the bark-skin works well as an anorexient, hence, beneficial in gyperphagia-bhasmaka. 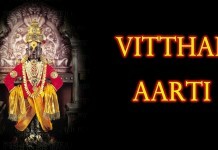 Thus by associating them with Hindu deities, they have been protected, so that no one would cut them. In that way those two trees are protected. Next articleWhy Do Indians pierce ears of a baby ?